Built as the Man With An Axe discount clothing store in 1958, this modest store has strong visual impact far beyond its limited size. It was a downtown landmark, housing the retail space Clifford’s Ladies Wear from 1961 to its closing in 2001. Nudging against older small-scale stores to the west, its design by prominent local architects Green Blankstein Russell features a glazed facade for store display. The steel-frame and masonry structure is visually light and understated. Competing against the large nearby presence of Eaton’s (now demolished) and The Bay department stores, this design set the retailer apart and spoke to a more modern, fashionable image. 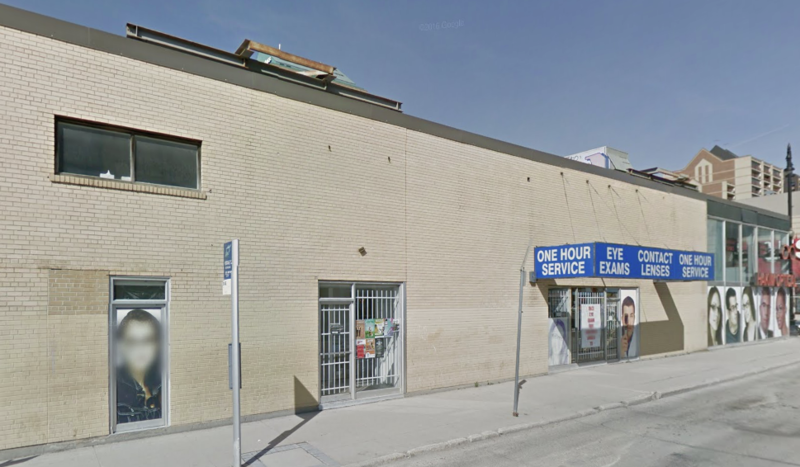 Success for Clifford’s led to a two-storey addition to the rear of the building, along Kennedy Street, in 1973. In 2006, the building was purchased and rehabilitated. 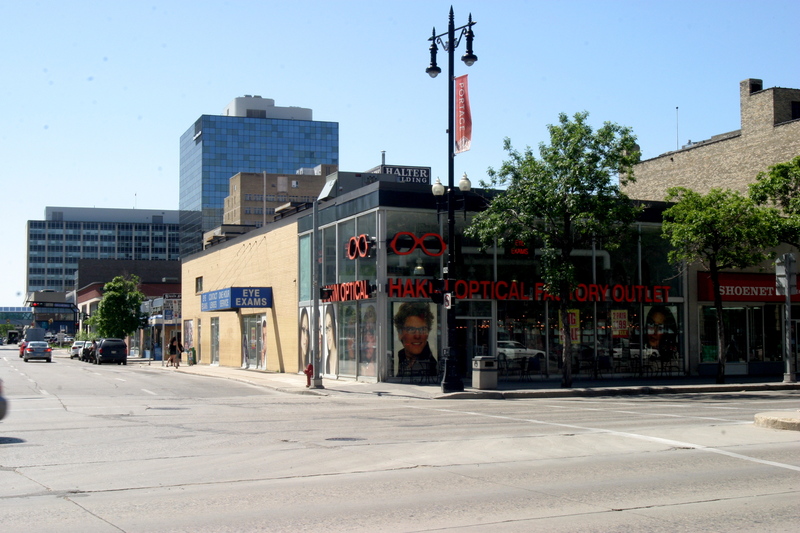 Currently it is occupied by Toronto-based Hakim Optical. Wally Dennison, "Pushcart savvy seeds fortune, " Winnipeg Free Press, April 24, 1982. Geoff Kirbyson, "Yesterday no more; Clifford's closing," Winnipeg Free Press, July 25, 2001, p. B3. Larry Kusch, "Optical chain links to down-town," Winnipeg Free Press, September 25, 2006, p. B4. Bob Holliday, "Long career built on foundation garments," Winnipeg Sun, June 22, 1997, p. 13. "Clifford's is hoping for some bus route changes," Winnipeg Free Press, July 10, 1991, p. 14. 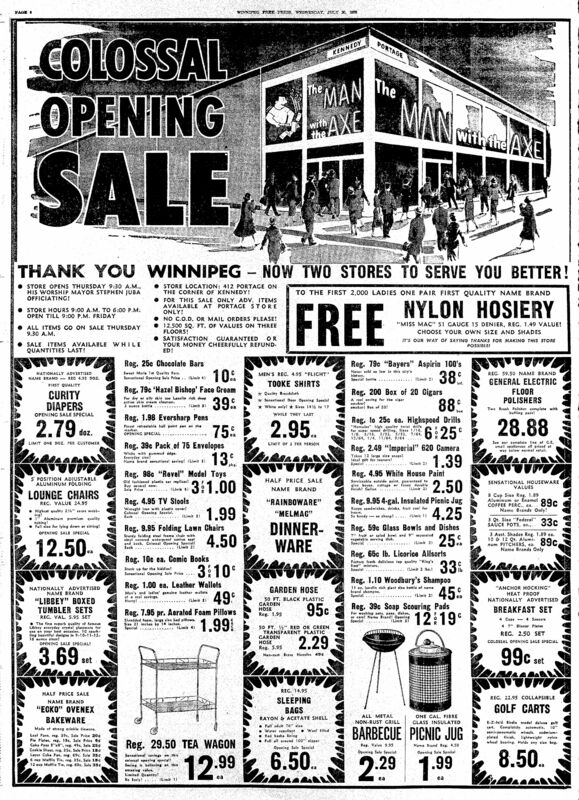 "Joseph Marantz, Founder of Store," Winnipeg Tribune, July 4, 1957. Canadian Underwriters' Association, Plan Division, Insurance Plan of the City of Winnipeg, Volume 1 (Toronto: The Authors, December 1955, partially revised 1963 and 1973), Plate #101.